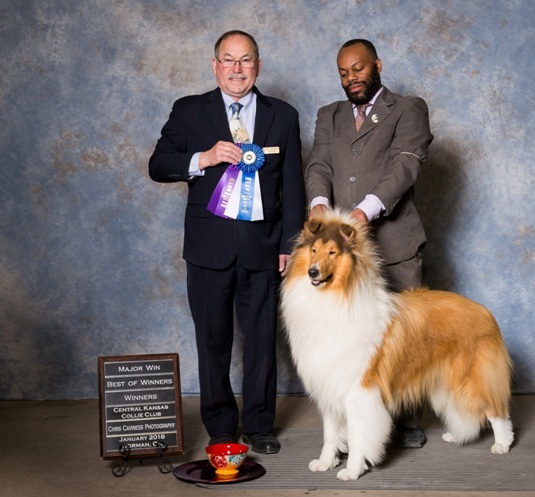 Patton is shown here with Jay Lee going winner’s dog, best of winners at the Central Kansas collie specialty. 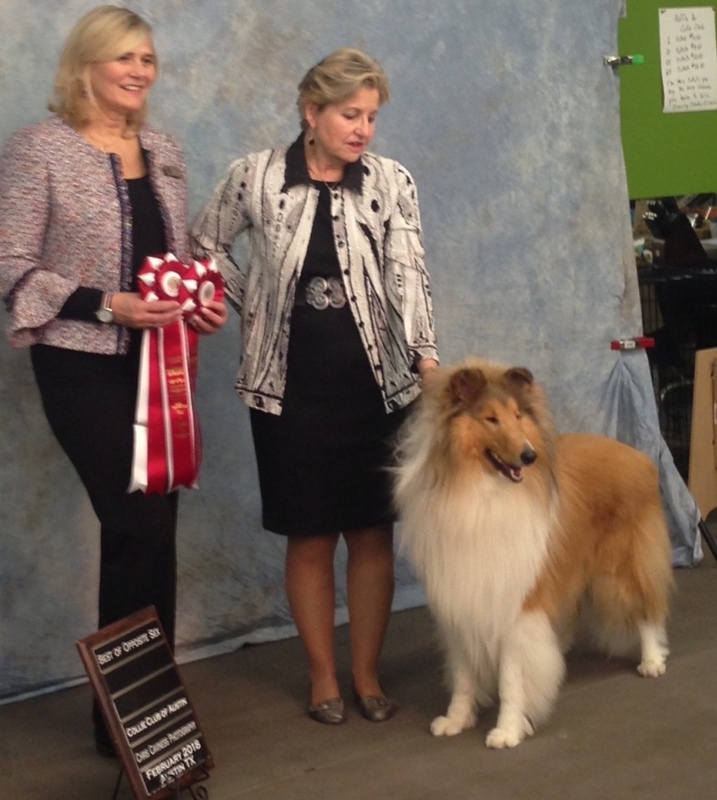 Patton was our pick boy from the Poppy/Samson litter. 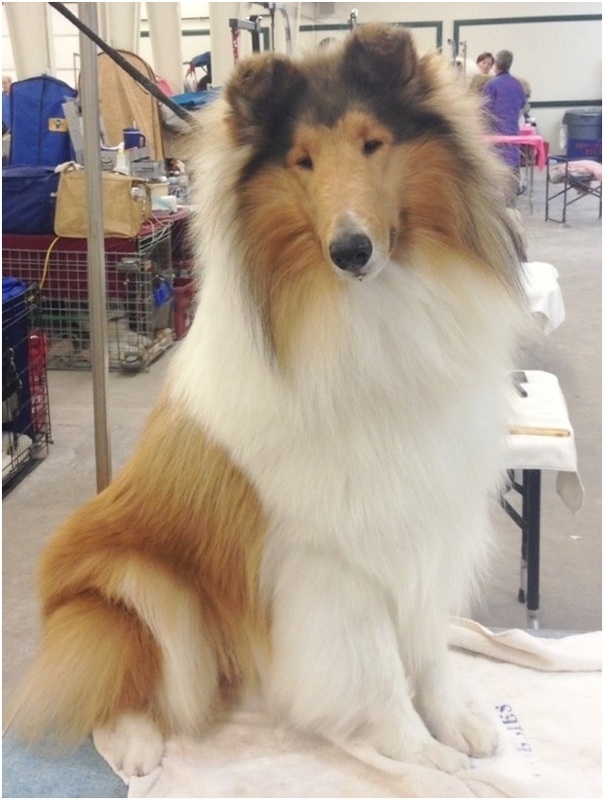 Always a pretty puppy, he finished his championship and grand championship before he was a year and a half old. We love his face, his movement, and his easy going personality. 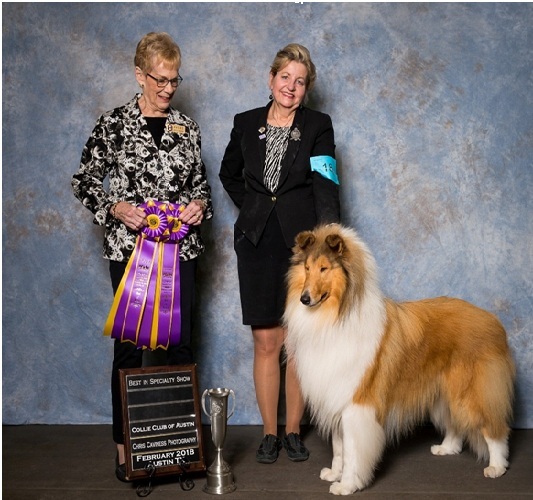 He is co-owned with Lea Bertsch – who showed him to most of his wins. He has had multiple specialty wins. Our tri girl Layla is expecting our first litter sired by Patton in April 2019.